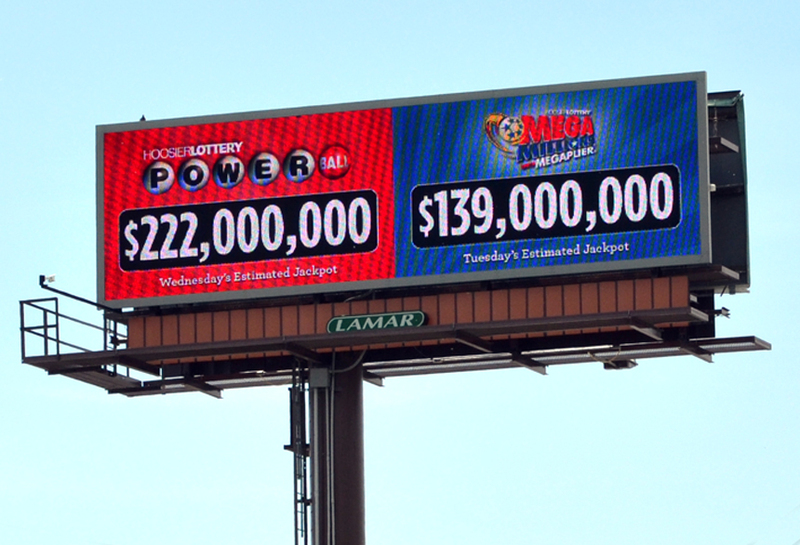 Hoosier Lottery Powerball used Lamar Digital billboard capabilities to live broadcast the estimated jackpots for each of their lottery options. This graphic reminds consumers of the large amount of money they stand to gain if they purchase a ticket. Given that the number changes as the lottery jackpot changes, commuters on their commutes will note the rising jackpot with excitement.